Are you looking for ways to make spring cleaning a little sweeter? 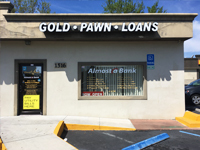 With Auto Pawn of Daytona, Deltona, and Deland, you can turn old, tucked-away items you no longer need into cash for the things you care about. In today's blog, we'll be exploring some of those items (and how they can transform your spring cleaning process for the better!). If you wear jewelry, your favorite pieces are probably displayed in a case or convenient closet organizer. But what about those pieces that rarely see the light of day? Whether they're out of style of simply taking up more space than they're worth, these gold pieces may not suit you anymore--but they can help you earn some added cash during your spring cleaning! You can bring in unwanted jewelry and similar items to be evaluated right here in the shop--because we work with the refinery directly, we are able to offer you the best possible price for your pieces. You'll be able to cut down on clutter and walk away with some added spending money, for bills or purchases you've been waiting to make. If your spring cleaning process involves a thorough closet clear-out, be sure to take a close look at old handbags, wallets, or even pant pockets. You may find unused gift cards there! 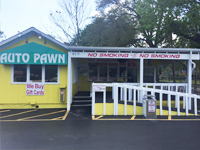 If you don't need your cards, or simply don't shop at the destinations they're for, you can turn them into cash by bringing them to Auto Pawn. What other treasures are sitting in your home, waiting to be rediscovered? While items like old clothes, books, toys and games can be donated, big-ticket items like pieces of art may be just what you need to enjoy greater financial freedom. At Auto Pawn, we can help you turn these items into loans to pay for what matters most: bills, big family expenses, and assorted purchases you've been waiting to make. Whatever it is, the solution might be hiding right under your nose, so keep an eye out as you pursue your spring cleaning! We hope that today's blog helps you get your spring cleaning off to a successful start. 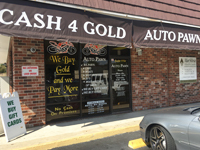 At Auto Pawn, we're always here and happy to help you along the way, whether that means purchasing your unwanted items or offering you a loan for the big goals in life. We loan up to $100,000 on anything of value. Just call us today to learn more!